The Kentucky International Convention Center is complete! Check out the article below to see more photos. Grand opening of Kentucky Proud Park, UK Baseball's new home stadium. We are celebrating the New Year with recognition from the ICF Builder Awards for the Best Multi-Family ICF project in the country. Congratulations Amy! The Martin Hall replacement project at Eastern Kentucky University was recognized as such at the 2019 World of Concrete in Las Vegas, Nevada. Lead design engineer Amy Hagan, PE Associate was there to accept the award. Her effort and attention to detail on the project led to a beautiful, economical and rapidly constructed facility for EKU. Martin Hall is 1 of 3 ICF structures on the EKU campus designed by Brown + Kubican, PSC. It is a $32M, 5-story, 200,000 sq. ft. building. The floors are constructed with precast prestressed hollow core concrete planks spanning to the exterior ICF bearing walls with an upset steel beam and column system providing interior support at the corridor. The use of the bottom plated steel beam to support the planks allowed for a total structure depth, including concrete topping, to be less than 12 inches. The EKU ICF projects have received attention from the National Ready Mix Concrete Association and many other public and private educational institutions who have visited the campus and our other nearby ICF projects to witness the possibilities in design, construction and economics that ICF affords. As with any successful construction project, it was done with great teamwork from all involved. Special thanks to F2/Grand Campus (P3 Developer), EOP Architects, Staggs & Fisher Consulting Engineers (MEP), CARMAN (Landscape architects and civil engineers), DW Wilburn, Inc. (General Contractor), Olympic Construction (ICF Installer) and NUDURA (ICF Manufacturer). Construction of the Lexington Convention Center and Renovation of Rupp Arena is officially underway. Nearly six years after it was originally proposed, Lexington city officials broke ground. Read about it here. The Lexington Center Board voted unanimously to hire Messer Construction to do the $241 million renovation of Rupp Arena and Lexington Center convention facility. The project is scheduled to be completed by November 2021. Click here to read more about the project. Big changes for Rupp Arena are coming! Click here to read about the upgrades that fans will be able to enjoy just in time for the 2019-20 season. Live feed and time lapse of the construction site can be viewed here. 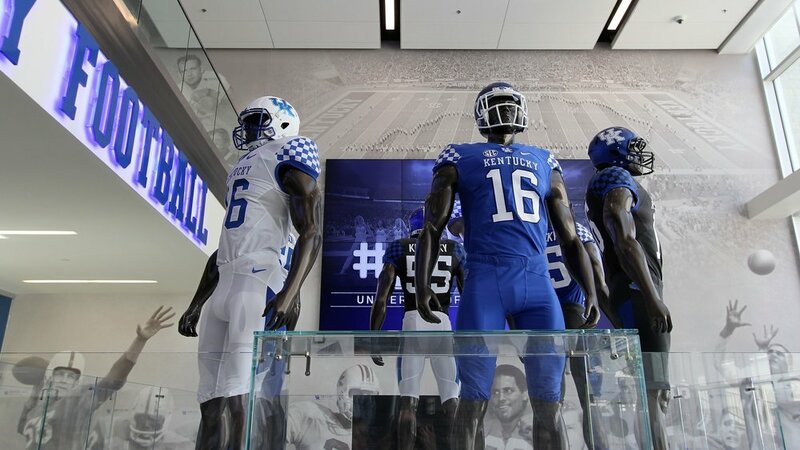 UK Football moves into its new state-of-the-art practice facility! Check out the photos from our firm tour and links to news articles below. 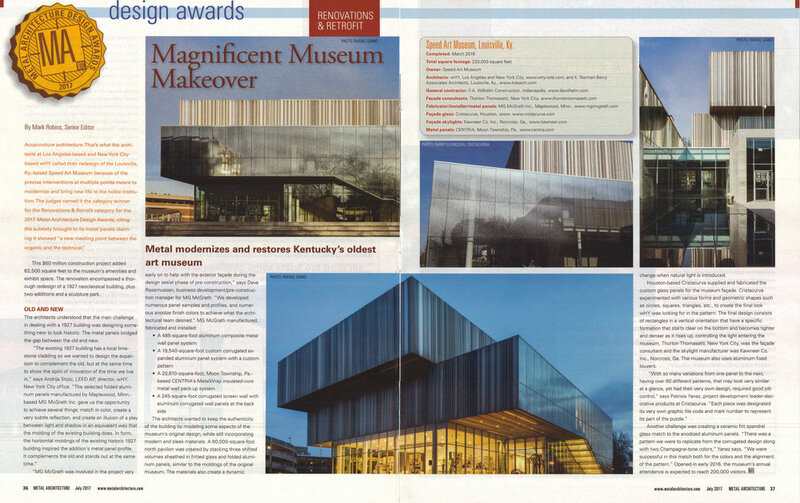 The Speed Art Museum was featured in Architectural Record: Daily WebInsider. Click here to read the article and see photos. The Speed Art Museum was featured in the July issue of Metal Architecture Magazine - 2017 Design Awards. We are looking to hire a Structural Engineer for the Lexington and Louisville Office. Visit our Contact Us page for more information.